The above bird species are common in Australian gardens. All humanise easily and can become dependent on handouts of food. Ultimately this causes problems for the birds. Birds need a natural diet to be healthy. Unnatural food, provided by most humans, weakens them. It fills them up, taking away their need to hunt for their natural foods that maintain health. If they pass human food onto their young they breed weak young. Birds that regularly indulge in human food suffer the same consequences as humans who eat a lot of junk food. But birds don’t understand that human food will ultimately cause them health problems, especially if they’re fed two or three times a day. Rarely if ever do suburban birds need handouts. Birds that beg for food are not starving; many are not even hungry; they’re just lazy and taking advantage of a free meal. If you want to care for your local birds don’t feed them at all. Put out a bird bath, or a dish of water so they can drink and wash, but don’t feed them. If you insist on feeding them it’s your responsibility to ensure they are getting the right food and to make sure they are given very little of it. Bread is not suitable food for any bird. Domestic pet food is even worse. Natural foods eaten by kookaburras, currawongs, crows, butcher birds, magpies and pee wees (mudlarks/magpie larks) includes … birds, mice, lizards, worms, crickets and other insects. Mice, meal worms and crickets can be purchased from pet suppliers. To be healthy birds need the nutrients provided by the ‘whole of the creature’, in other words the skin, the wings, the flesh, the bones and the innards. 1) You can feed the above species a small amount of muscle meat like good quality beef mince, lamb or steak (never sausage, lunch meats or dog/cat food) However, all muscle meats is lack minerals that are essential for a bird’s wellbeing and therefore has to be fortified. If nutrients are not added birds can develop physical problems including metabolic bone disease (similar to osteoporosis in humans). Over time this will kill them. The most natural way to fortify muscle meat is to add a little offal. That means liver, kidneys, heart or brains, all of which are rich in minerals. It doesn’t take much offal to do the trick. A mixture of 90% muscle meat and 10% offal will suffice. I know this is fiddly but if you care about your local birds it’s a must. You can prepare a mixture of meat and offal in a ratio of 9 parts to 1 and freeze it in small bags containing about 4 days’ supply. Each bag can be defrosted as needed. 2) Alternatively, Insectivore can be purchased from your local pet supplier. This is a powdered nutritional supplement for birds. Add it to muscle meat like good quality mince. It’s very important to follow the directions on the pack and add just the right amount of Insectivore. Too little and it won’t work; too much and it will harm the bird. Other quality foods include meal worms and crickets (available from pet suppliers) and garden worms. A variety of foods will provide a good spectum of nutrients. Never feed birds more than once per day and only give them enough for a treat. These points are very important. If you feed too regularly the birds can starve if you go away. Please do not feed ibis. This only increases their numbers and results in nest destruction by the Gold Council Council and culling. 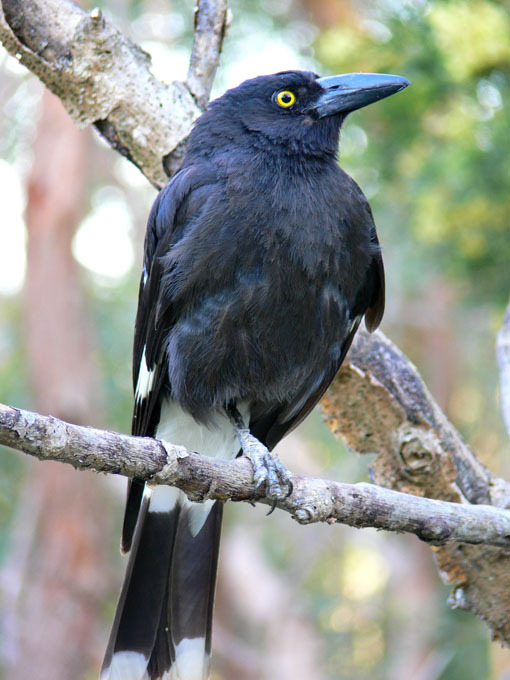 Note … if you aid crows and currawongs by feeding them they will thrive and predate on smaller birds. The last thing little birds need is more crows and currawongs. A dominance of predatory birds unbalances the whole ‘circle of life’.